We posted about collecting Frankoma pottery a few months ago, and have been getting emails from all the collectors we’ve created. But it is pretty “crave-able” stuff. 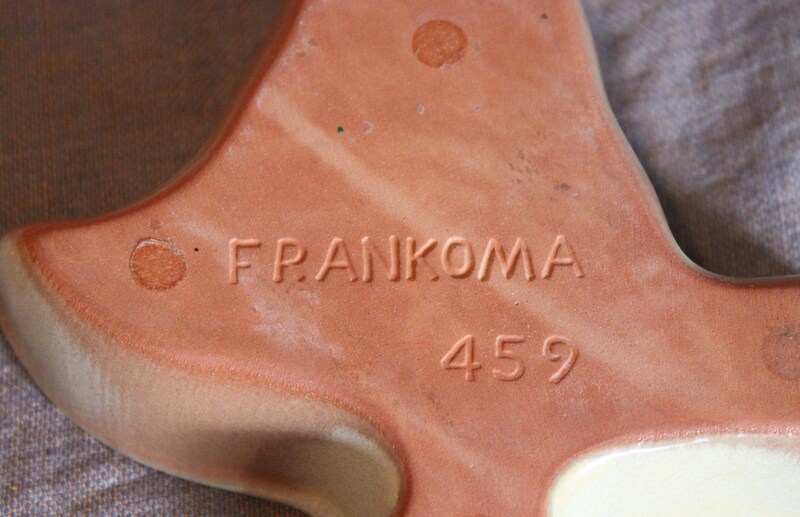 Found this old Frankoma ashtray for a couple of bucks recently. Perfect size for holding spare change, Burt’s Bees, and car keys. 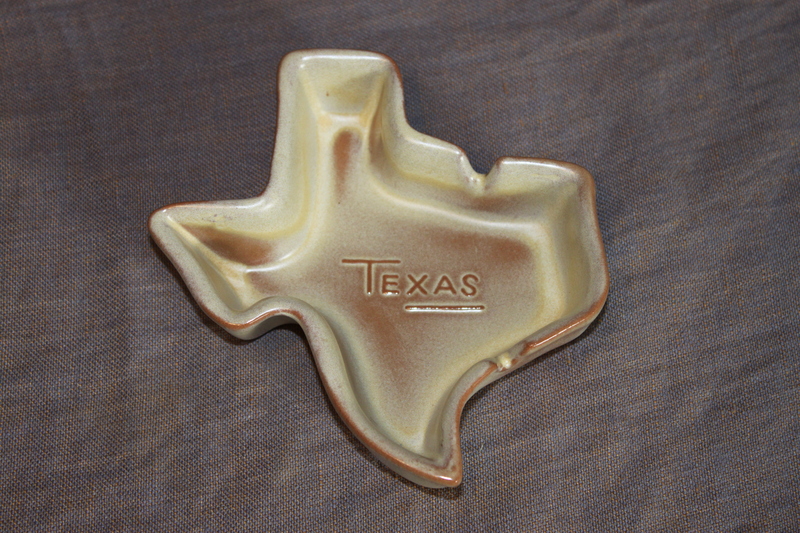 I’ve always wondered of the other states were jealous because Texas has such a distinctly beautiful shape. Makes a perfect ashtray, doesn’t it? For some reason, the ash falls on Dallas and Houston…. I’m one of the collectors you created. Love it! (but you know that, cuz i’m also one who emailed you) I have a couple of ashtrays on my dresser that I use for jewelry.